The custom scan allows you to scan a specific folder stored in your hard drive, CD/DVD or in external devices like a USB drive connected to your computer. 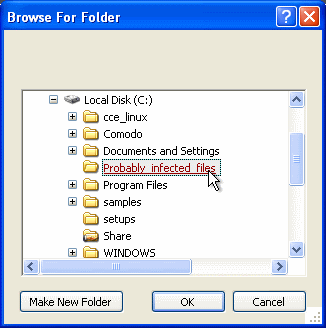 For example you might have copied a folder from another computer in your network, an external device or downloaded from Internet and want to scan it for viruses and other threats before you open it. Tip: Alternatively, you can perform an express scan on a folder by dragging and dropping it onto the CIS interface or by right clicking it. Refer to Scan Individual File/Folder for more details.